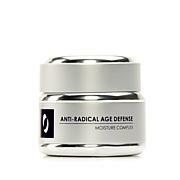 Osmotics Anti-Radical Age Defense Moisture Complex 1 oz. 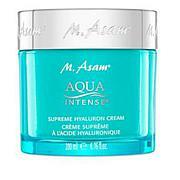 Refreshing moisture infusion helps temporarily plump the appearance of skin, temporarily smoothing the look of fine lines and wrinkles while temporarily rejuvenating the appearance of dry, dull skin. For anyone wanting an instant and refreshing hydration boost. Perfect for most skin types. Ingredients: Purified Water, Glycerin, Butylene Glycol, Enteromorpha Compressa Extract, Malachite Extract, Hydrolyzed Viola Tricolor Extract, Sodium Hyaluronate, Saccharide Isomerate, Oleth-10, Lavandula Angustifolia (Lavender) Oil, Potassium Sorbate, Phenoxyethanol, Ethylhexylglycerin, Citric Acid.